I have not seen all Aronofsky’s film in its entirety. Admittedly, I fell asleep about midway through the movie. What I did observe were biblical themes that I believe all Christian can affirm. Themes such as sin, judgment, new creation and God being the Creator and themes of mercy. These are the things that we can say are real and true, and really does speak to us in many ways. I don’t think a movie has to be completely accurate in order to have a real impact. Take for example the movie Pearl Harbor. The only thing real about this particular movie was, perhaps, the violence. Same with the movie Titanic. DeCaprio’s character more than likely did not exist on the real Titanic. Both of these movies, while pretty inaccurate, had a very huge impact (both were nominated for several Academy Awards, and both grossed millions of dollars in theaters), and in my opinion were very „good“ movies. For those who think that Aronofsky’s Noah is a mockery of the biblical story, I asks you „why so critical of this movie?“. Should an artist have the freedom to create what ever he/she wants? Not too many criticized Mel Gibson for his artistic rendition of the Passion of the Christ. Why? Was it more accurate? How do you know? Instead of criticizing a work, try affirming it first if you can. I think this Noah has great echos of truth. And I recommend believers to go see the movie, and take your unbelieving friends with you. Affirming the truth in this movie is a great evangelistic tool. You know the whole story. Because of the severe depravity of man, God decided that he would bring judgement upon the earth. But Noah was a man who walked with God. While the hearts of man were still corrupt, God had mercy on Noah and his family and spared their lives. He delivered them from judgment by sealing them in an ark. But now one has come who is a far greater „ark“ than Noah’s. Jesus, the Godman, has come and in him, we find mercy from God’s judgment. This is the story that we know and love. 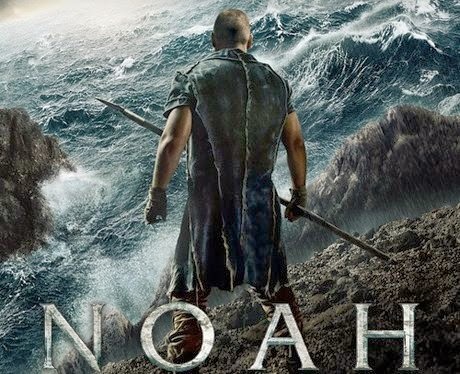 My question, then is how can we use Aronosky’s rendition of Noah to show the true story? Think about it!